Not a single Indian cricketer found a place in the ICC’s World Cup XI which was dominated by runners-up New Zealand rather than champions Australia with Black Caps skipper Brendon McCullum as its captain. The ICC team features five New Zealanders, including McCullum, despite their seven-wicket loss to Australia in the summit clash on Sunday. India, the defending champions, had bowed out after a semifinal loss to Australia. 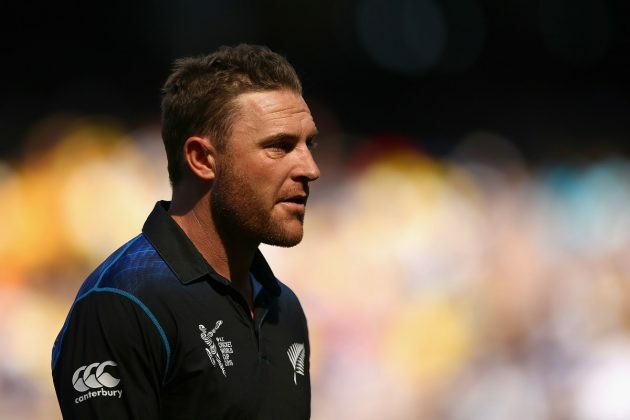 “McCullum was chosen as the captain following his aggressive, innovative and inspirational leadership during the 44-day tournament that was the cornerstone of his team’s progression to the final where it lost to Australia by seven wickets,” the ICC said in a statement. McCullum also scored 328 runs in nine matches with four half-centuries at a strike-rate of 188.50. The team was chosen by a select group of experts who were given the task of picking a balanced side on the basis of performances in the tournament. Statistics were used but were not the sole basis for selections. In addition to McCullum, the side includes four New Zealanders – Corey Anderson, Trent Boult, Martin Guptill, Daniel Vettori – three Australians in Glenn Maxwell, Steven Smith and Mitchell Starc, two South Africans (AB de Villiers and Morne Morkel), with Sri Lanka’s Kumar Sangakkara as wicketkeeper-batsman. Zimbabwe’s Brendan Taylor, who finished with 433 runs in six matches, was named as the 12th man. ICC general manager (Cricket), Geoff Allardice, who chaired the panel, said Indian pacers Umesh Yadav and Mohammad Shami along with off-spinner R Ashwin were in the running. “The panel had an extremely difficult choice of selecting a 12-member squad at the back of an outstanding tournament, highlighted by some eye-catching individual performances including two double-centuries, 38 centuries, two hat-tricks and 28 four-wicket hauls,” he said.